Today for lunch I decided to use my onigiri shaper to make some onigiri (rice balls) to go with some leftover miso soup. It was my first time using it and it worked really well! 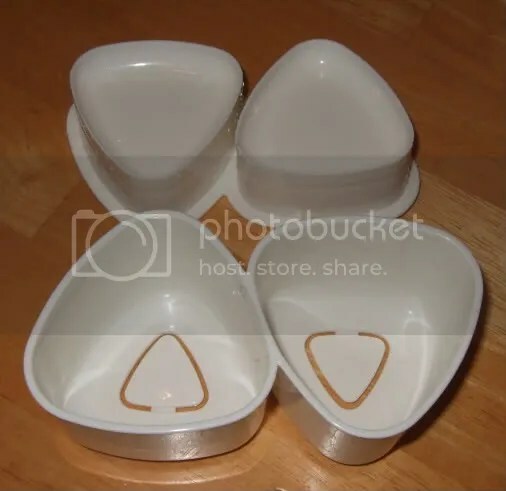 Just fill it full of rice, press down on the lid, then pop out. The meal turned out to be simple, yummy, and filling! 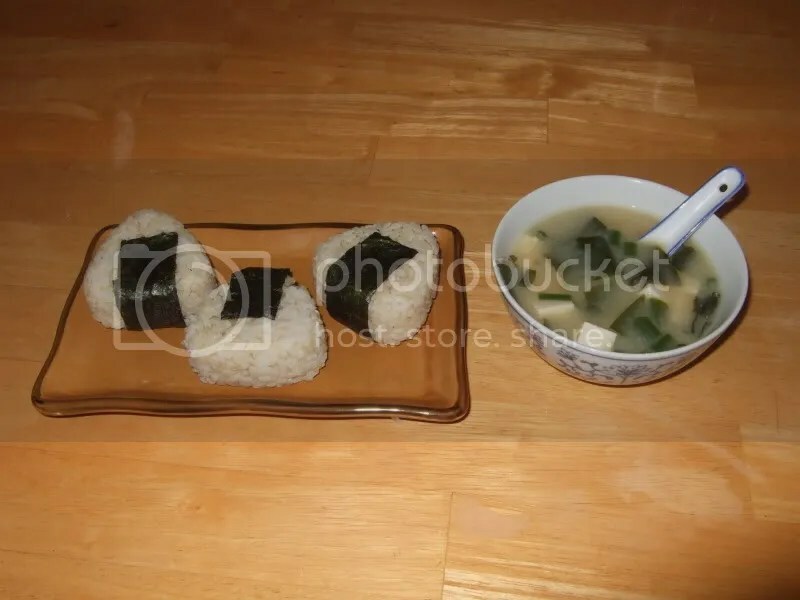 Since I made plain onigiri I ate it with a little wasabi and soy sauce. 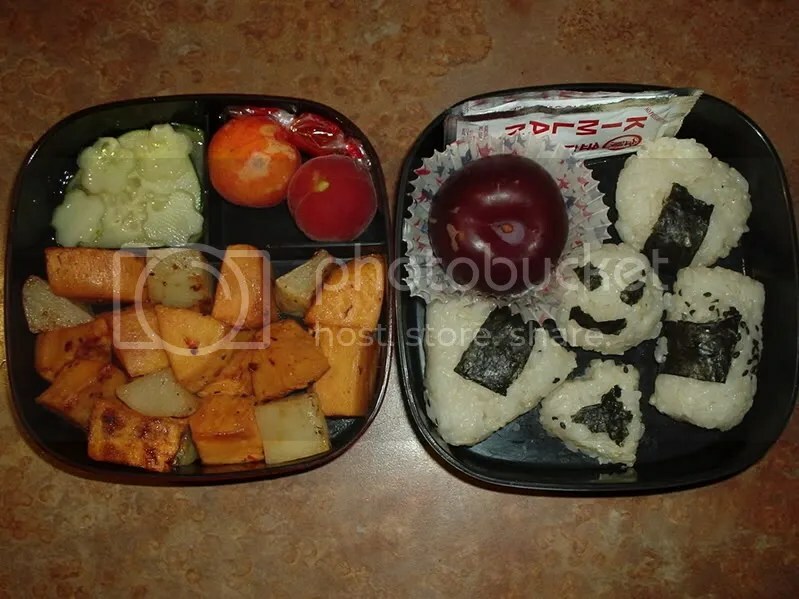 Here’s a picture of the bento I made for my boyfriend. I had an avocado leftover from when I made sushi the other day and thought it would go well with the onigiri. 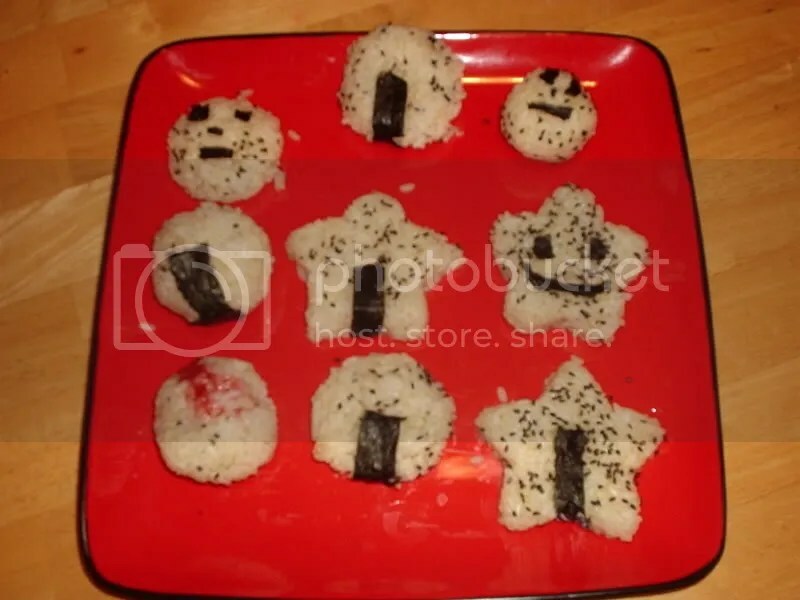 I also added a fortune cookie, some rice candy, and some nori maki and a soy packet. He just got done eating it and said it was pretty yummy. He normally has asian noodle cups, so this was a nice change. Mine is a little larger because I didn’t get to have breakfast today. 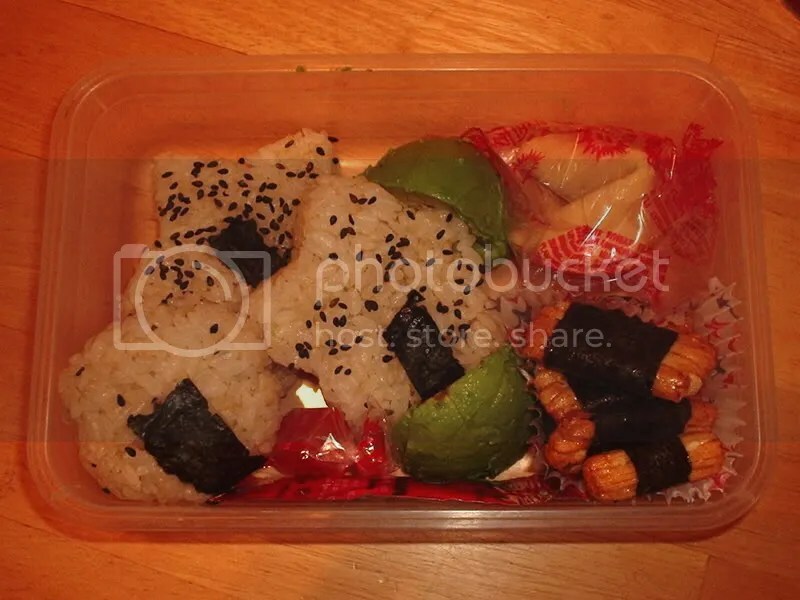 It has onigiri, avocado, peanuts, nori maki, rice candy, and a soy sauce packed in the left layer. 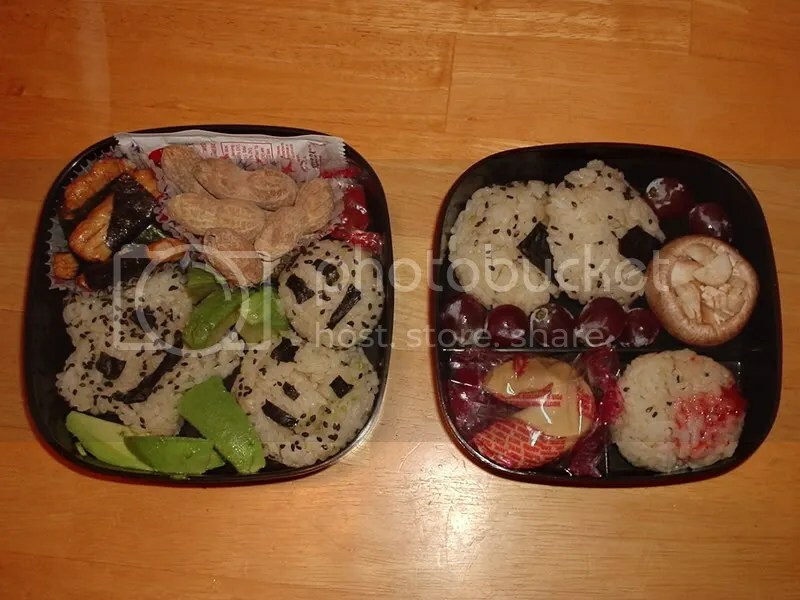 On the right there’s more onigiri, a mushroom w/ the stem placed into the cap (to be eaten w/ the onigiri), the jelly onigiri, grapes, and a fortune cookie.